1. Could you please give us an overview of the curriculum of the animation course? 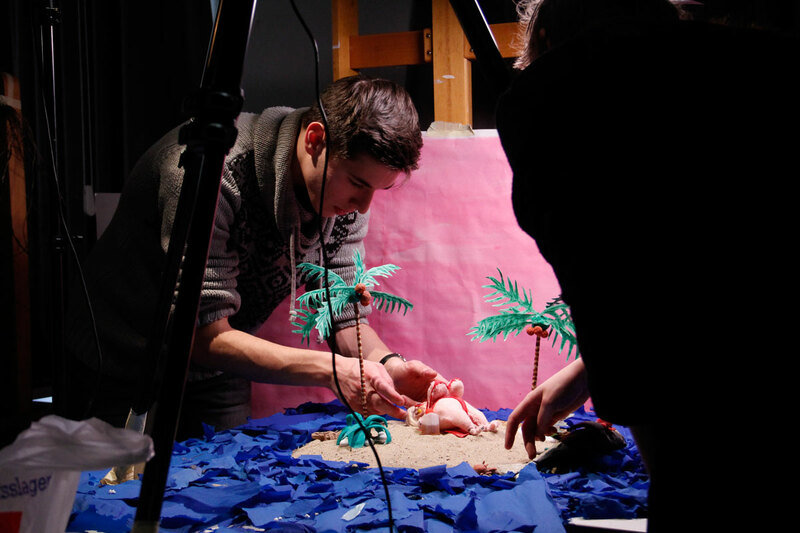 The 1st year is largely devoted to graphic design in animated films and elementary frame-by-frame exercises. Students are also introduced in the use of basic software, the technological terminology, analysis of movement qualities, and listening. Each student writes/draws an artistic diary to feed and develop their creativity. These animation oriented courses are flanked by theoretical courses in Film History, Music and Sound for Animation, Philosophy, Art History, Methodology and Psychology of Perception. The 2nd year concentrates on the classic animated cartoon, other 2-D techniques and stop-motion. In this year, the students make some audiovisual works: a film starting from an object, a film starting from acting that focuses on the qualities of movement, and an audiovisual work to present as final year work. In function of their personal projects, the students continue to develop their technical skills. 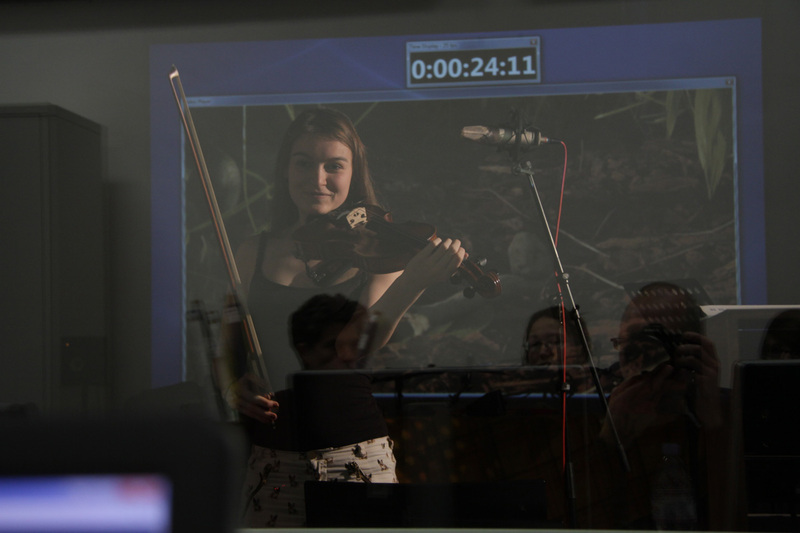 The auditory part of the audiovisual work is part of the courses in practice and in theory. The students continue with drawing courses and their artistic diary. Theoretical courses are: Narrative Strategies, Art Philosophy, Art History, Anthropology, Literature and Artist’s texts. In the Minor, the students can explore another discipline. The 3rd year is a creative laboratory, where experiments are encouraged. The students make two films: one starting from a concept, and the other starting from their artistic diary. At the end of the third year they present their bachelor project. A team of about fifteen practice teachers coaches the students in the bachelor and master studio classes, each from his or her specific artistic perspective and technical expertise. The first part of the bachelor years is dedicated to assignments that predominantly focus on the knowledge and skills pertaining to the medium. Students learn to achieve results in a purposeful and investigative way, where the process is more important than the final product. The second part of the year offers the time and space to digest all that input. Students can try their hand at the medium, add their personal touches and work out a personal project. To counter any attitudes aimed at quick and easy results, students in the first bachelor year follow a process-based track that stimulates personal initiative. This creates the opportunity to learn from mistakes. During the second bachelor year the focus gradually shifts towards finished projects, culminating in a completely developed graduation project at the end of the third year. All of this is a preparation for the master, where students can engage in comprehensive artistic research. Here, students are responsible for their own curriculum, and they choose two mentors as coaches: one from a theoretical and one from a practical background. The contextualizing theory courses from the bachelor programme are replaced with a range of Dutch or English-language seminars. These help students with the reflective part of their specific artistic research and occasion interdisciplinary encounters. These seminars are platforms for discussion where students from many different programmes come together and are offered the opportunity to discover each other’s work and discourses. As well as in the studio classes, students frequently consult with each other and keep track of each other’s working processes. A similar exploration and stimulation of the individual practice comes with the internship that is part of the master programme. Individually or with a group, students establish contacts with the professional world and field-test their creativity. As trainees, our students have worked on projects as diverse as television commercials, theatrical projects, film productions, and more. The entire process eventually results in a master’s project. This finished product is evaluated and commented on by filmmakers and professionals from the cultural sector and the professional field. 2. What do you think are your unique characteristics or strengths? Jean-Marie Demeyer and Martine Huvenne: Principles and practices of the arts are at the heart of the bachelors tracks in animation—courses of study designed for innovative artists who wish to develop a personal vision within the ever-expanding parameters of animation as an Audiovisual Work of Art. We go for the maximum expansion of the medium by encouraging the development of a personal style through due research and interactions with other art disciplines, all the while considering technical skills as a support and not as a goal. Classical 2D-animation and drawing are still at the basis of our animation film education. The handcraft aspect of animation is as important as digital techniques throughout the curriculum. The profile of this practical education concentrates on artistic films rather than technical wizardry. In the tense relationship between form and content, the student is confronted with all aspects of the medium: movement qualities, styling, narrative structure and musicality. Research in these areas enables a translation toward both classic cartoon and contemporary media application. No matter how fast the technological evolution, at the Ghent school it is also the final product that matters: a completed animated short as a professional film debut or a presentable audiovisual work at the end of the 3-year bachelor studies. The animation course is embedded in an inspiring theoretical context. 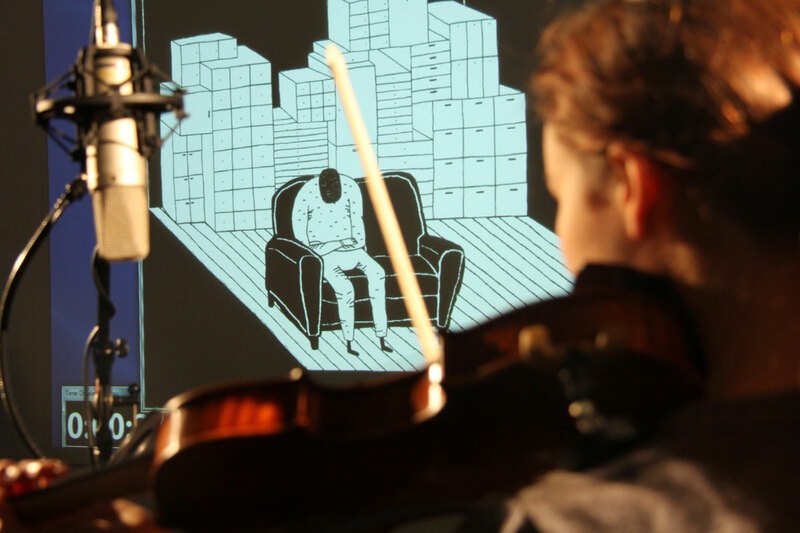 Special attention goes to sound and music for animation with the possibility to collaborate with musicians. Within the curriculum, the students don’t focus exclusively on animation film, but also on different applications of animation in the arts, such as performance, installation, and fine art. 3. What do you look for in prospective students? What characteristics or skills do you want your prospective students to have when they apply? Jean-Marie Demeyer and Martine Huvenne: Prospective students are asked to present a portfolio of previous artwork. They are selected on motivation, open mindedness, creative potential, artistic personality and theoretical interest. Skills in drawing, painting, music and other disciplines are appreciated but not necessary. Students are asked to develop an open attitude toward other art disciplines. 4. Could you please let us know what is your vision of the career that prospective students can expect by learning from you? Jean-Marie Demeyer and Martine Huvenne: In the first place, the students discover their artistic personality during the educational trajectory. This means that at the end of their studies they know very well their strengths and weaknesses. They know which responsibilities they can take and carry on. They are able to lead an artistic project and to collaborate with others. For most of them, the creative input and elaboration is the most important aspect of their careers, yet some of them have additionally developed very precise technological skills during their studies. 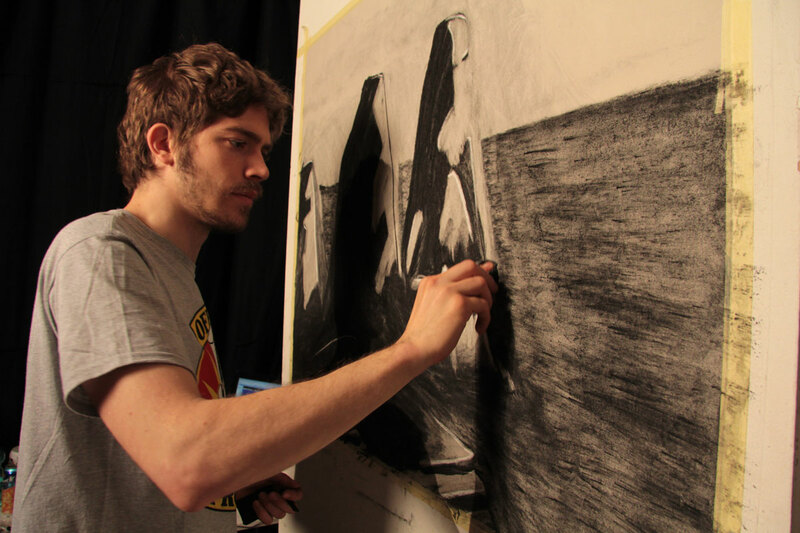 Alumni enter as much in the animation film industry as in the art scene. Some of them become independent animation film makers or famous animators in feature productions and short films. Others are working as directors of experimental films, artists in fine arts, installations artists, illustrators, performers, writers, authors of graphic novels, street artists or are working in the field of theater.